The strategic factor “work time” is one of the most cost-intensive factors for a company – not least due to the high fringe costs that come with it. The aim is therefore to employ the resource “employees” optimally in order to remain competitive. Reliable studies have shown that with modern time attendance management, euro sums in the double figures can be saved for each month and employee. Yet professional time attendance management means more than just lowering labour costs as such. Today‘s leading personnel managers equate increasing productivity, customer-oriented work time flexibilization and boosting employee motivation at least as importantly. With the Breitenbach Time Attendance Management System (ZMS), you gain an intelligent and innovative software solution for making an optimum comparison of work times with the actual work requirement. 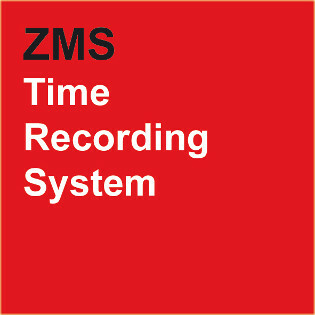 ZMS adapts to your requirements as well as your corporate structure, and supports you when developing new, flexible work time models. Our software solution can be employed in any industry and in any sized company – from small to medium-sized companies to international consolidated groups. With a firm basis of modern, modular software architecture with a scalable range of functions, you are equipped for today‘s and tomorrow‘s duties. Keeping pace with innovation while maintaining complete flexibility and accessibility, Personnel Management has the capability to be managed from all mobile devices. Via a mobile app, users can log, edit, exchange time/scheduling data in a real time environment. This can be done both at the colleague and leadership levels. This capability allows for an automated and consistent approach from a Human Resources perspective. As a direct result of this, organizations realize an increase in employee satisfaction as they now have the tools to help them achieve work life balance while ensuring complete transparency.